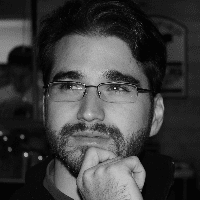 In my previous blog post, I talked about Optimizing Dynamic Method Invokes in .NET. In this post, we will use that information to create a static helper method that is twice as fast as MethodInfo.Invoke. Basically, we create and cache a delegate in a concurrent dictionary, and then cast both it and it's arguments to dynamics and invoke them directly. The concurrent dictionary introduces overhead, but it still more than twice as fast as calling MethodInfo.Invoke. Please note that this method is highly optimized to reduce the use of hash code look ups, property getters, closure allocations, and if checks. 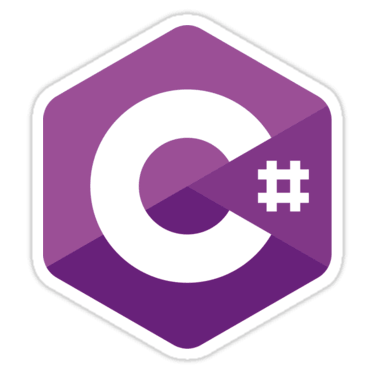 I recently had a lot of fun helping to optimize some RPC code that was using reflection to dynamically invoke methods in a C# application. Below are a list of implementations that we experimented with, and their performance. 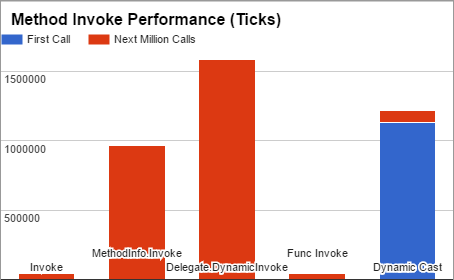 Conclusion: Invoking a method or delegate directly is always fastest, but when you need to execute code dynamically, then (after the first invoke) the dynamic invoke of a delegate is significantly faster than using reflection.